Manufacturer of a wide range of products which include metal roofing screws, corrosion resistant screws and corrosion precision screws. 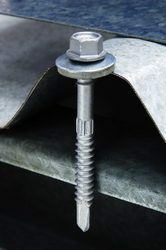 We Manufacture Metal Roofing Screws in Coimbatore. Our steel screws are widely used for various exterior and marine applications. These screws have a high dimensional tolerance and are resistant to corrosion. Our screws are fabricated from different grades of steel like medium carbon, with Nickel Plating. 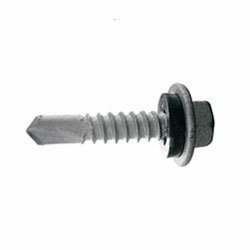 The comprehensive range of screws include drywall screws, interior angle, round head screw etc. We also offer customization of steel screw based on the requirements of the clients. The complete range of high production screws & barrels manufactured by us are made from high quality alloys like EN24B and other alloys. These alloys make these screws and barrels very much durable, increase their efficiency and make them resistant to abrasion and corrosion. We manufacture a large variety of screws and barrels through our advanced machinery for various industrial in harmony with the stringent national and international quality norms. We offer them to our clients in accordance with their specific requirements and specifications demanded by them. We are the Largest Manufacturers and Suppliers of of our Products Corrosion Resistant Screws in Tamil Nadu at Coimbatore, Madurai, Salem, Erode, Tirupur, Kanya kumari, Tirunelveli, Dharmapuri, Tuticorin, Nagercoil,Trichy, Dharmapuri, Pudukottai,Krishnagiri, Hosur,Thanjavur, pattukottai,aranthangi, aruppukottai, rajapalayam, sivakasi, koilpattai, tenkasi, viruthunagar, dindugal,mettur, sathur, and all over tamilnadu. 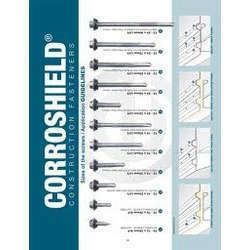 We are supplier and Importer of Corrosion Precision Screws In South India. Our steel screws are widely used for various exterior and marine applications. These screws have a high dimensional tolerance and are resistant to corrosion. Our screws are fabricated from different grades of steel like medium carbon, with Nickel Plating. The comprehensive range of screws include drywall screws, interior angle, roundhead screw etc. We also offer customization of steel screw based on the requirements of the clients.